We were at Atria Canyon Creek and our impression was good. We were there for a special occasion and they had five apartments open for Christmas. It seemed to be very nice. They allow pets, they have a very nice aquatic pool, a nice room where they had caviar, and the dining room was nice. They had hors d'ourvres out, and everything was good. Atria Canyon Creek was really good. We really liked the place. The people were very nice, including the residents we met. It was clean, and they seemed to have a lot of activities. Their pricing was good. The place was big with a lot od residents living there. If we had made a choice, this might be the place we chose. They offered a broad dining experience with a three- to four-hour time frame for their breakfast or dinner. I am 100% happy here at Atria Canyon Creek. I’ve been here for about four years. I have a beautiful apartment, and I love the people here. I am involved in all kinds of activities and have actually put 2 new programs together for the people here. There are probably 260 people here, and I think I know about 200 of them by first name, so I am very delighted with my experience here. The people at Atria Canyon Creek are attentive and very nice. I stayed overnight, and they brought me a nice big bowl full of fruit. They tried to please me as much as they could, and they introduced me to somebody to have lunch with. They were gracious, and I met a couple other people who were very friendly. All over impression is very good. I didn't like the huge electric line which goes through the apartments. They have all kinds of activities and 2 different exercises, and the employees are very good. It's very nicely located and convenient. Atria was top of the line. It’s very nice, but they didn’t have rooms for veterans. Once a week, they had a luncheon get together, and they have a dance once a week. It’s really cool. The people were really nice, and they’ve got a great chef. They’ve got great activities, and the one thing I really like was security. Everybody wears like a badge, and if somebody gets lost or confused, they can find them right away. At night they check all the doors to make sure every door was locked at night. The security was really good. However, it had a strange smell, and both times I went there, the person who showed me around did not smell it. Everything was a dark color, and it was much darker the first time I went there. On the second time, the hallways weren’t quite so dark, but still everything was brown. The furniture in the common rooms is heavy and brown, but I have the option to repaint my apartment at my expense. Our visit to Atria was very good. The interior was darker, traditional, and older; however, it was clean and nice. The staff was friendly. Atria Canyon Creek was excellent. The facility was well managed. When we left, they gave me and my 2 daughters gift bags from the restaurant. They showed me a one-bedroom apartment. It had a fully functioning kitchen. It was very well run. Franklin Place at Canyon Creek was where we planned to move in. The place was only a few years old and it appeared to have all the amenities and activities that we needed. They had an indoor swimming pool as well as a heated pool. The food was very good, and the location was nice too. The only problem was that they were full, so we would be moving in a smaller apartment until there was a vacancy for a larger one. Other than that, we were very happy with it. 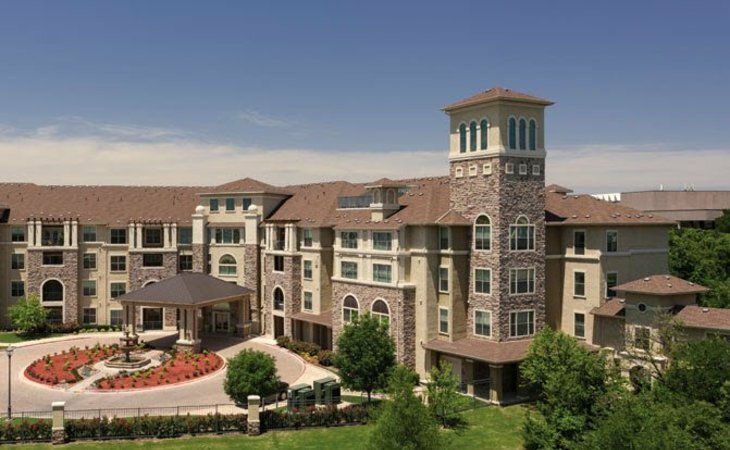 Atria Canyon Creek provides residents with a vibrant, independent lifestyle, with spacious apartments purposefully designed for discerning older adults of the Greater Dallas area. Located just west of Historic Downtown Plano, Atria Canyon Creek is easily accessible from Richardson and Dallas, and within driving distance of many shopping and entertainment districts, parks and nature preserves, medical centers, and local landmarks and attractions. Exclusively independent and equipped with the finest modern amenities, Atria Canyon Creek is for older adults seeking to continue their active lifestyles in a luxurious, maintenance-free setting. With industry-leading quality standards, Atria Canyon Creek provides a 24-hour staff and an exceptional senior living experience. What should caregivers and potential residents know about Atria Canyon Creek?